The "Jade" experienced main engine piston problems on Jan 31, 2018, while en route from Kaliningrad to Foynes with a crew of six on board. The ship was drifting at 1.6 knots 11 nautical miles and 289 degrees southeast of St. Catherine's Point, in position 50 24 53.0N, 001 07 39.8W, at midnightn. The replacement of the main engine piston and the repairs were estimated to be completed by 01.34 a.m. The vessel was carrying 2,975 metric tons of soya in bulk along with 70 cubics of gas oil and two cubic meters of lube oil. 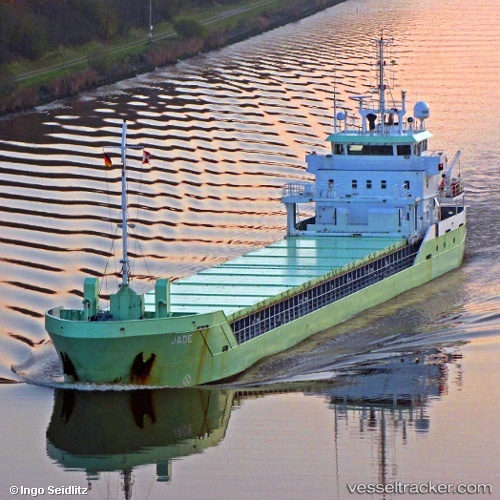 Tug assistance was not required, and the ship continued the voyage after the defect was rectified by the crew.